Quickspin’s first volatile 10-payline game, has been inspired by classic fruit machines. Elegant yet simple in style, online slot Second Strike is a far cry from the old classic games as this slot comes with a feature bound to blow your mind away. Play Second Strike for free to see what we mean. When you are ready to play for real money, make sure to check out our casinos’ page to take advantage of some of the best welcome package offers in the industry. 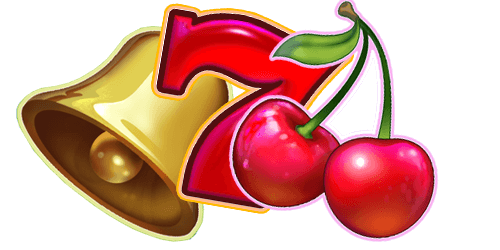 Although at first glance, this online slot looks just like a fruit machine, casino game provider Quickspin has brought out its creative side to bring a powerful concoction to the table. The title itself is a reference to the bonus feature which happens every time you land a winning combination. 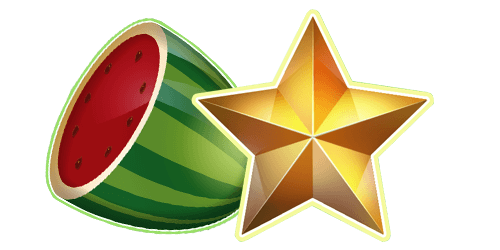 Colourful and yet cheerful at the same time, this game is brimming with classic symbols such as diamonds, stars, bells, watermelons, plums, and cherries amongst others. If you love slot game Hot Sync from the same provider, or else love fruit machines overall, then this game is worth a try. Get ready to get down to some 70s music as you spin the reels in this fantastic game. Payout percentage: The theoretic payout percentage of Second Strike is 96.26%. The layout of this game reminds us of the good old 70s, the decade of disco fever and funky music. Spread over the standard 5 reels and 3 rows, this game only has 10 paylines. However, we think that this game’s simplicity adds to the entertainment and innovative factor. This slot machine has been stripped bare of some features, yet has retained a special feature that truly boosts the bankroll. So, although it might look simple in style, it has a lot going for it. Try it for free now! This is where the disco-part comes in. Keep an eye on the rectangular border around the reels filled with squares. When the Second Strike feature is activated, this border comes to life each time you hit a winning combination. After each winning spin, symbols within the winning combination light up. If the counters lands on one of these highlighted symbols, more of the same symbol are added to the winning combination. To give you an example of this exciting feature, if there are three winning symbols, an extra 6 are added. If you have four winning symbols, you get an extra eight while 5 winning symbols give you an additional 10 symbols. The maximum win you can achieve in this video slot is worth 1,210x your total stake. Second Strike might be based on a classic slot, but that doesn’t mean it’s not available on modern devices such as mobile phones and tablets. You can rest assured that you can play this game on the go, anytime, anywhere.